For those who prefer fuller coverage, this product comes in either clear or frosted glass and will make your shower look great just by being there. 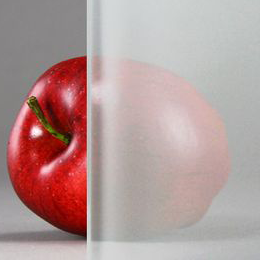 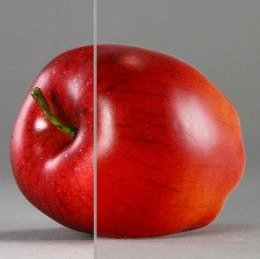 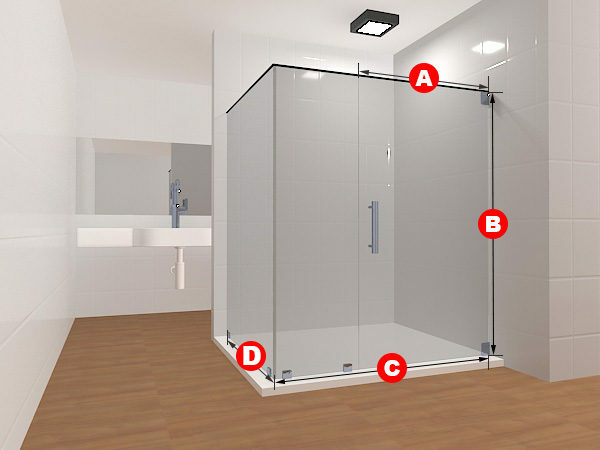 It opens left to right in a seamless display of fine craftsmanship. 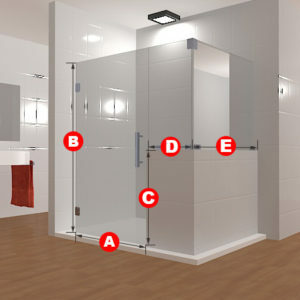 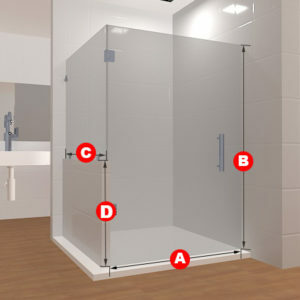 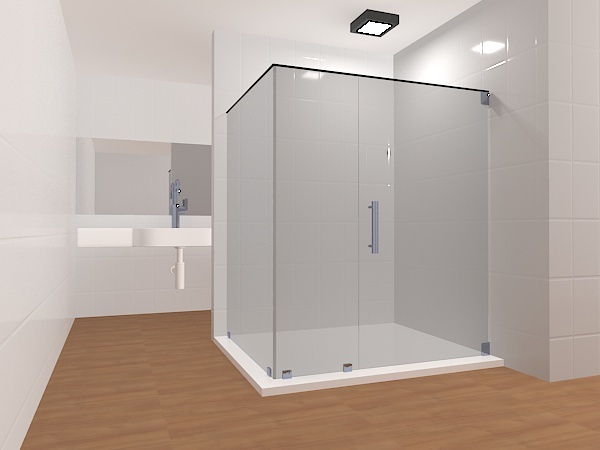 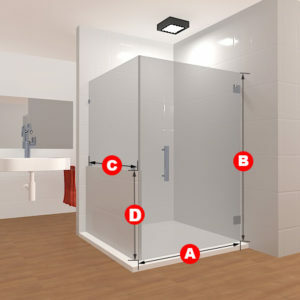 On the bottom of the multi-panel construction are multiple hinges and two glass-to-wall hinges on the right side of the shower door, attaching the door to the wall. 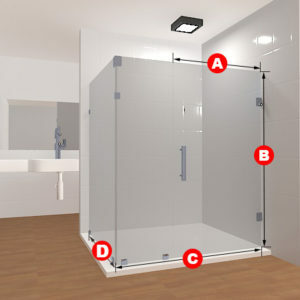 Included in this package are three glass panels, two glass to wall hinges, three glass to floor clamps, one glass to wall clamp and a handle.